Mark Morris, editor of this annual anthology, has received over 600 submissions for this already, and the deadline isn’t until June 30th. We have a feeling that this is going to be a good one, more than following the high standard set by the first volume. Even though it’s not available until October this year, given the popularity of the inaugural edition we are putting it on pre-order now for those who would like to secure a copy ahead of time. The prices will be exactly the same as last year. Also, like the first volume, the cover will be by the award-winning Vincent Chong, whose artistic kung-fu is legendary (see his cover for the the first one above). 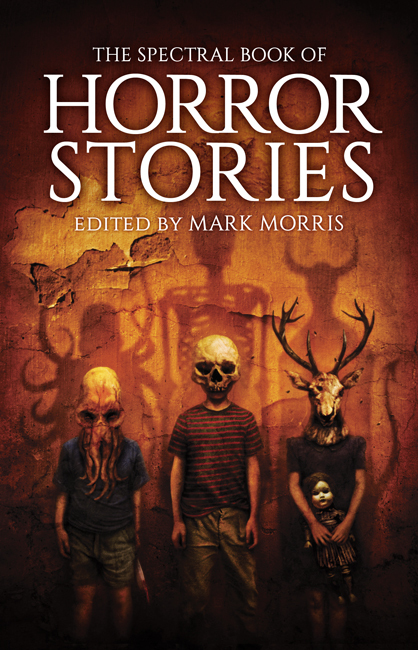 THE SPECTRAL BOOK OF HORROR STORIES vol 2 – PRICES INCLUDE POSTAGE! If you’re going to be attending FantasyCon 2015 this year in Nottingham, UK, where this book will be launched, then why not take advantage of this offer of preordering your copy and then picking it up at the event? Overseas visitors can save postage and spend what they’ve saved on books and beer! Yes, we know it won’t be available until October this year but, given the popularity of the inaugural volume, we thought it might be an idea to put it on pre-order now for those who would like to secure a copy ahead of time. The prices will be exactly the same as last year. Also like the first volume the cover will be by the award-winning Vincent Chong, whose artistic kung-fu is legendary.